Color : Shelled peanuts with typical odour, flavour and texture characteristics. Practically free from foreign smell or off-flavour. 7) Aflatoxin – B1:2 ppb MAX and total aflatoxin: 4ppb MAX. 1) Description – Processed from USDA High Oleic Medium Runner peanuts by cleaning, roasting to a specific color, split nut blanching, and electronic sorting to remove damaged peanuts and foreign material. 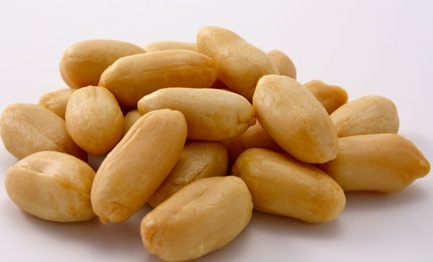 1) Description – Dry Roasted U.S. Grade Blanched Medium Runner Split (High Oleic) Peanuts.